Look no further than Verida Farm as the place for your horse to recover, rehab, rest, or retire. Our beautiful facility boasts around the clock care and accepts horses 24 hours a day, 7 days a week. Call today at (845) 988-7717 to schedule a visit and see the true difference that Verida Farm offers. 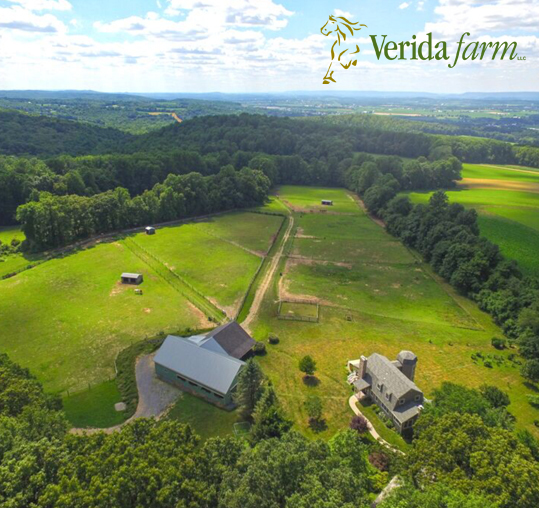 Situated on 21 pristine acres in Eastern Pennsylvania, Verida Farm is conveniently located close to most major Northeast tracks and clinics. Our highly trained staff provides unmatched service specializing in lay ups and rehab along with grooming, exercise and individual care. Contact us to find out how we can provide the best equine recovery, rehab, rest and retirement care imaginable. Verida Farm is a private and peaceful place for your horse to have a quiet retirement or a calm rehabilitation. Your horse will get the individual attention that is needed to meet your expectations. Verida Farm offers whatever you need for your equine friend. There is pasture and stall boarding available. Horses will be cared for and handled on a daily basis. Lay-ups will have special needs and we are prepared to carry out any instructions your veterinarian sets forth. This will include administration of prescribed therapies and medications, wound care, grooming and whatever is necessary for the quick and total recovery of your horse. Michele Oren is proprietor of Verida Farm. With over thirty years’ experience in horse care, her vast knowledge and talent within the industry has become well known. Michele's experience includes: Holding a track trainers license; Assistant trainer for Pin Oak Stud, Versailles, KY; Head barn vet tech at Peterson and Smith Equine Hospital, Ocala, FL. ; and manager of Exceller Farm where she retrained and rehabilitated off-the-track Thoroughbreds. In January 2009 Michele started Verida Farm LLC. Every horse is treated as if owned by Michele. There are no lessons done at Verida Farm, so your horse gets the attention that they have grown accustomed to. Michele is a good communicator and will send you pictures and videos of your horse regularly. She will do everything she can to make your horse’s move a smooth transition and everything is done as a process, not an event. Click here to read some testimonials from satisfied Verida Farm clients! Would you like additional information about Verida Farm? Call Michele at (845) 988-7717 today!